Dypsis (commonly known as the Dypsis Palm species) is a genus of plants of concern and found in the following area(s): Indian Ocean (Comoros), Madagascar, Tanzania. Copyright Notice: This article is licensed under the GNU Free Documentation License. It uses material from the Wikipedia article "Dypsis". Glenn, C. R. 2006. "Earth's Endangered Creatures - Dypsis Palm Facts" (Online) - Licensed article from Wikipedia: The Free Encyclopedia. Accessed 4/22/2019 at http://earthsendangered.com/profile.asp?sp=6775&ID=1. Need more Dypsis Palm facts? 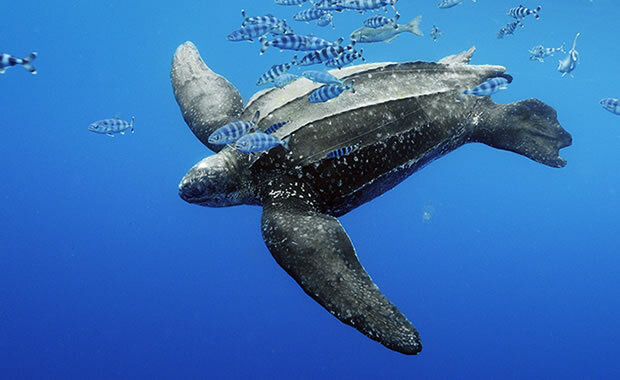 Leatherback sea turtles have been around since pre-historic times. And unfortunately, if the species is allowed to vanish, scientists believe it will foreshadow the extinction of a host of other marine species. It is estimated that there are less than 5,000 nesting female leatherback sea turtles in the Pacific Ocean today, down from 91,000 in 1980.